Bouchra Khalili, The Tempest Society (still), 2017, video, 4:3, color, sound, 60 minutes. With this survey, titled “Blackboard,” Bouchra Khalili stages an experience akin to a halqa, a Moroccan tradition of public storytelling. A halqa consists of a storyteller surrounded by a circle of listeners who interject to create a multiplicity of voices. Something similar happens here, where strategies of resistance, speech acts, and tales of migration mutually inform one another to layer and expand the subjects’ testimonies. 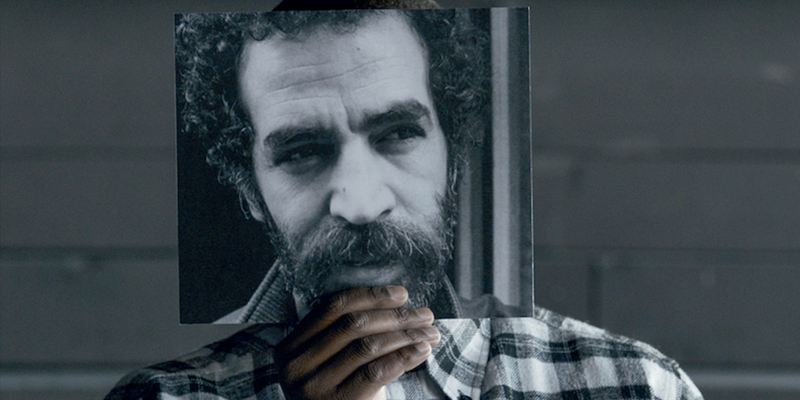 For instance, in the video The Tempest Society, 2017, four Athenians from different backgrounds invoke and parse the legacy of Al Assifa, a Parisian 1970s revolutionary theater collective that used agitprop plays, pamphlets, and newspapers to advocate for those most affected by racism and class inequality in France. Using Al Assifa’s sociopolitical theatrical logic, Khalili scrutinizes Greece as a nation-state and provides alternative narratives of history, or what she refers to as “counter-geographies,” constellating moments of resistance by comparing individual accounts of the country’s rising tide of nativism with the discrimination of 1970s France. Debuted during Documenta 14, the work’s re-exhibition in Paris carries a minatory resonance. The short video Twenty-Two Hours, 2018, presented for the first time, recounts Jean Genet’s allyship with the Black Panther Party (BPP). The video details the writer’s visit to the United States in 1970 and reflects on his unconditional support of the BPP’s struggles, his work on the campaign to free Bobby Seale, his position on the systemic oppression of black Americans, and his 1986 book Prisoner of Love, in which he relates the plight of the BPP to the Palestinian conflict. The footage is narrated by Vanessa and Quiana, two young African American women who interview a Black Panther present during Genet’s interaction with the group. Khalili’s cinema of political reckoning suggests that while it’s not always possible to answer questions raised by past activists and their testimonies, it is crucial that we keep asking them.